She was made unconscious by giving an injection after which she was gang-raped by three persons from the hospital staff. Merrut: A 29-year old woman was allegedly raped by a group of staffers of a private hospital in the city. Five people including a female nurse were detained and their role in the alleged incident is under investigation. The lady was admitted to the Intensive Care Unit of a private hospital in Meerut on Sunday after going through inconsistent breathing. She was diagnosed with a fatty liver. The family after coming to know about the incident approached the police station to file a complaint against the staff members. 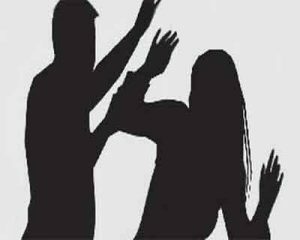 The victim’s husband alleged that she was admitted in the Intensive Care Unit (ICU) of the hospital where she was made unconscious by giving an injection after which she was gang-raped by three persons from the hospital staff. The three ward boys were arrested and a hunt was launched to nab the staff nurse, who was absconding, reports the Deccan Herald. The case was registered under relevant sections of the law and further investigation in the matter is underway. A case has been registered under relevant sections and a team has been formed to look into the case. A police official informed that an FIR was registered against them under IPC section 376. One of them is on a run. The victim was sent for the medical examination, reports the Indian Express.